The 3-Stage Cleaning System uses Dual Multi-Surface Brushes, a specially designed Edge-Sweeping Brush, and vacuum suction to attack everything from small particles to large debris on your carpets and hard floors. 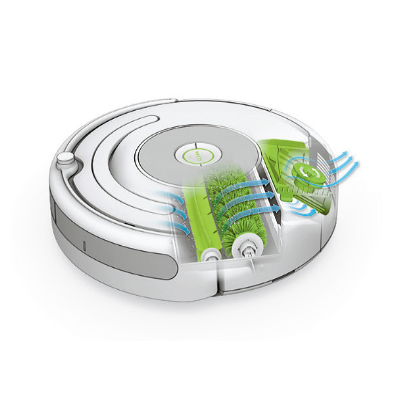 The robot will recognize and focus on high-traffic areas where dirt collects using Dirt Detect™ Technology. NOTE - Virtual Wall Halo kit doesn't contain batteries. Navigates under and around furniture. Gets to work with just the press of a button. Edge-Sweeping Brush sweeps debris away from edges and corners. Multi-Surface Brushes work together to lift dirt, dust, and hair from carpet fibers and hard floor surfaces. Vacuum suction works to pull in dust, dirt, and debris. 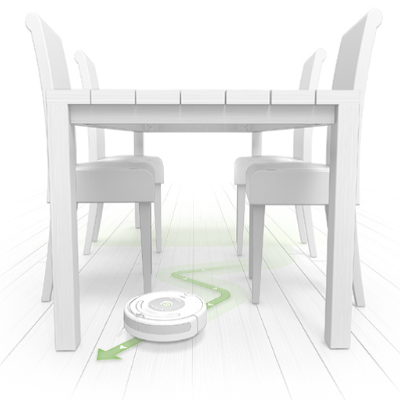 A Virtual Wall® creates an invisible barrier that Roomba won't cross. 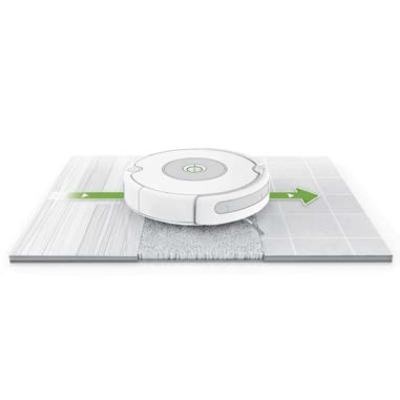 That makes it easy to confine Roomba to a particular room or area, and prevent it from getting too close to anything delicate or dangerous. You can set a Virtual Wall to block openings of up to approximately 7 ft (2 m). It creates a cone-shaped barrier, so the beam gradually gets wider. The Virtual Wall can also create a halo of protection around itself, preventing Roomba from getting too close. Battery Requirements - Manual Virtual Walls, Auto Virtual Walls, and VWLH require 2 “C” Alkaline batteries. Please visit battery installation for help with replacing the battery. This fancy toy would not dock itself properly. Keeps pushing the cradle from left to right and right to left when duly supported behind by the wall. After spending close to 20K INR, they can't give a demo or any kind support to solve the issue. Instead run around their service centers to see if there is a problem.